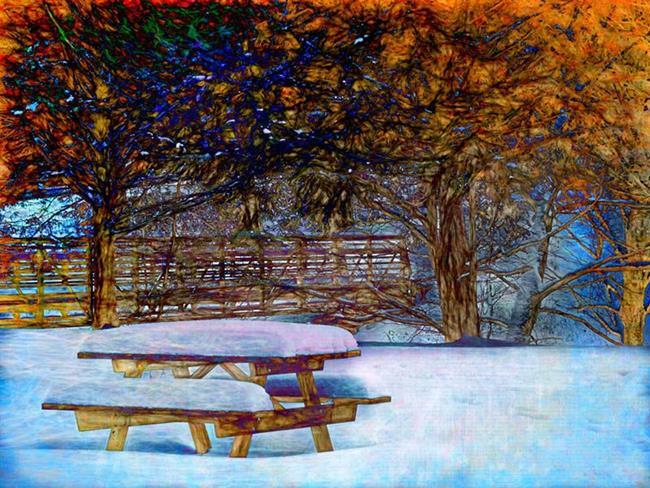 Winter Picnic was created from a picture taken several winters ago in the State Park near us, Cook Forest. It was a beautiful winter day and I enjoyed the picnic table patiently waiting for all the summer tourists. I layered the picture in Photoshop with several textural backgrounds creating many of the colors using blending modes. I have entered it in the 2014 Winter Landscape Show.